The 2019 Toyota Corolla is available as a sedan or a hatchback. The hatchback is incredibly spacious and entertaining, while both are very safe, well-priced, and loaded with standard features. There are five trim levels to choose from for the Corolla sedan and two for the Corolla Hatchback, which used to be the Corolla iA and was the Scion iA before that. 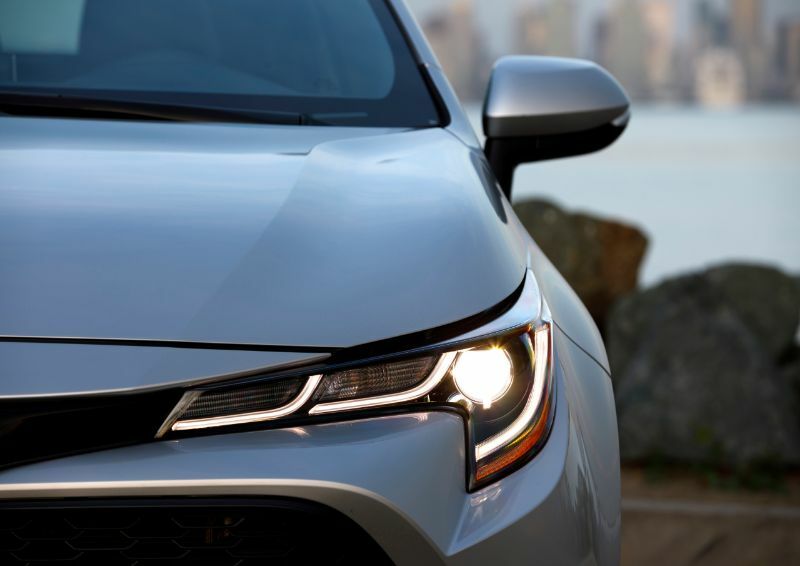 The 2019 Corolla sedan runs on a 1.8-liter four-cylinder engine with 132 horsepower and your choice of a six-speed manual transmission or a CVT. Going with the Corolla LE Eco will give you a variation of this engine with 140 horsepower and a valvetrain that maximizes fuel economy. The average Corolla sedan gets 31 or 32 mpg combined. 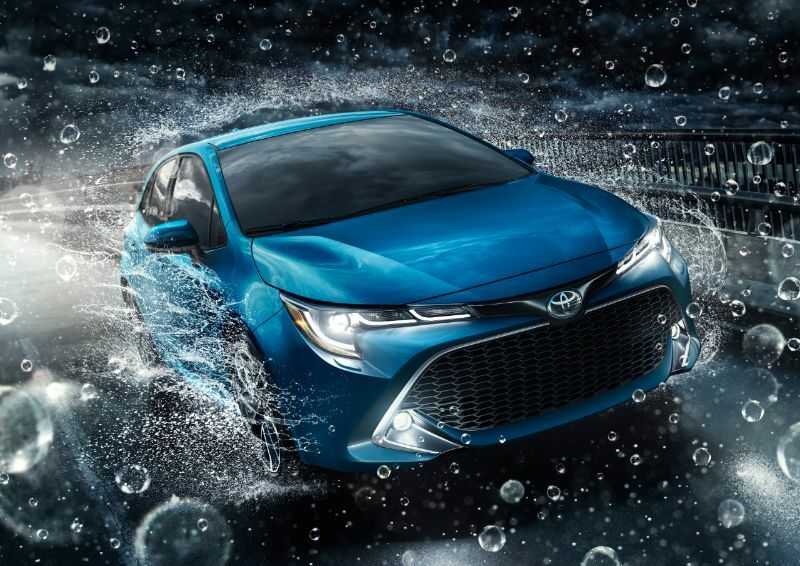 If you opt for a 2019 Corolla Hatchback, you will get access to the new 2.0-liter four-cylinder with 168 horsepower and the same transmission options. The hatchback is more efficient than the sedan, getting up to 36 mpg combined. Regardless of your Corolla’s body style or trim, it will have front-wheel drive. The rear-seat space is good in the 2019 Corolla, despite it being a small vehicle. The sedan’s trunk has 13 cubic feet for storage, while the Toyota Corolla Hatchback holds 18 cubic feet. To expand this space in the hatchback, you can tumble the rear seats forward. 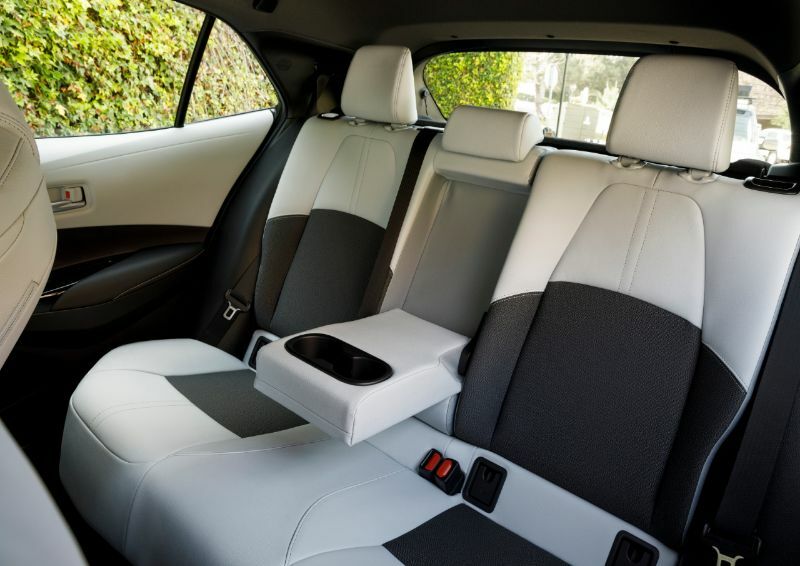 The synthetic leather on the higher trim levels is durable and comes with additional adjustment for the driver’s seat. You can also enjoy heated front seats. 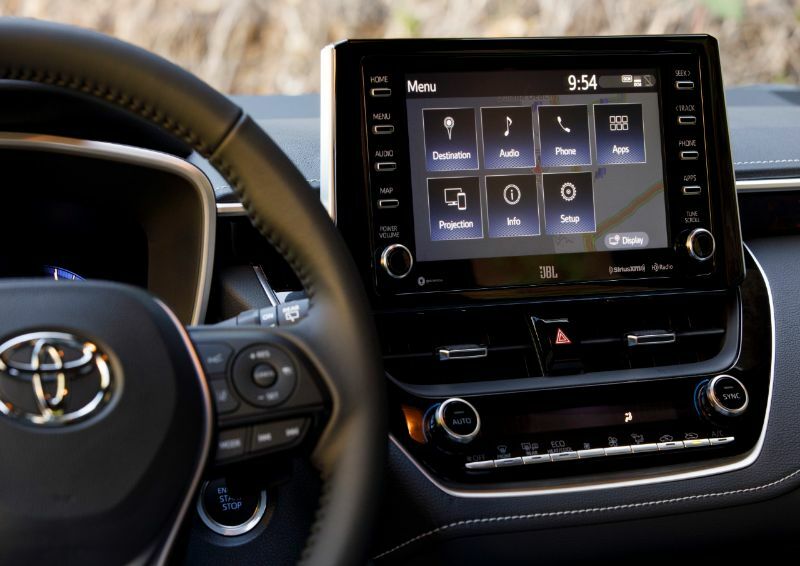 The Corolla comes standard with at least a 6.1-inch touchscreen for infotainment. However, most trims use a 7- or 8-inch version. The sedan comes standard with Bluetooth and a USB port with most trims also featuring automatic climate control and the ability to configure it with a power moonroof, heated front seats, keyless ignition, and synthetic leather upholstery. The Corolla Hatchback has more standard equipment, including an 8-inch touchscreen, 4.2-inch driver information display, and 60/40 split-folding rear seat. Higher trims of the hatchback can include a 7-inch drive information display, seats trimmed in leather, dual-zone climate control, satellite radio, navigation, wireless charging, eight speakers, and more. Toyota made a range of safety features standard for the 2019 Corolla, including automatic emergency braking, forward collision warning, pedestrian detection, active lane control, road sign detection, automatic high beams, and adaptive cruise control. You can also configure your Toyota Corolla to include blind spot monitors. Both versions of the Corolla are highly rated, with the IIHS naming them both Top Safety Picks. However, the hatchback must have the curve-adaptive headlights to qualify. 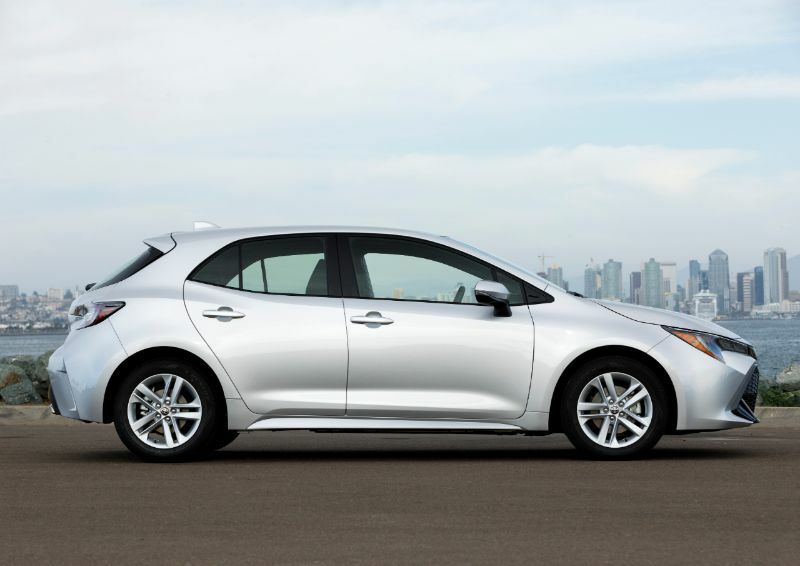 Similarly, the NHTSA rated the Corolla sedan with its top 5-Star rating. The 2019 Corolla sedan rides high on top of its tires, as there is a largish gap separating the body and wheels. The front end seems gaping and has edgy lines with a black swatch underneath the grille. The hatchback has different styling, with less of an overworked feel for the front grille. It has a sharper look with narrower LED lights and more mesh.